It's the new year and so many of us are trying to do things better this year than we did last. 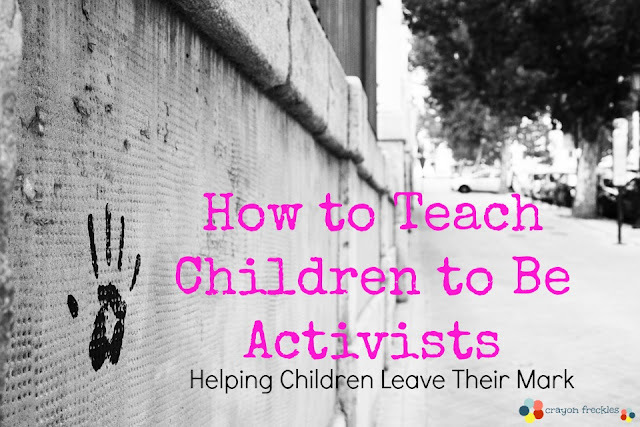 So I thought I would touch on how we can help our children change the world through social activism. Now... in today's social climate, there are few words that draw as much criticism as the word "activist". It's seen as a radical, leftist position that goes against the norm. But, the world is a crazy place full of divisive narrative and ideologies. So the question is... how do we, as parents, actively raise our children to be activists? One of my favorite actresses and activists, Sara Ramirez, has stated it perfectly. to see other people as real and human. There are so many differing thoughts on what is acceptable in society. That's why it's so important that we teach our children compassion and tolerance of those who are "different' than us. As parents and teachers, we have to guide children towards what is right and fair and true. We live in a world where our children are deemed as incompetent of making powerful statements. Where, through, ageism, bullying, and sexual abuse, their voices are stricken from creating a powerful narrative. 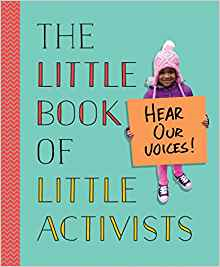 So when Penguin Books sent us a copy of The Little Book of Little Activists, I was elated. Find ways for your children to help others in your community. Cultivate in them that they are a part of something larger and more complex than their world of home and school. This can be as simple a collecting old blankets for a local animal shelter, gathering canned goods or a food bank, or spending some time cleaning up a park in your neighborhood. You can also get ideas on random acts of kindness for kids here. The Golden Rule is one of the most important lessons I think we can teach to our children. "Treat others as you want them to treat you." Activism doesn't always have to be bold, outspoken actions. Sometimes activism happens in passive actions such as holding each person up with compassion because don't know what they're going through, what road they're walking. This is something I try to press to my son anytime he voices a grievance about a classmate. I hear his words, then ask why he thinks the person is acting as they are. His insight is remarkable, as I know your child's would be if asked. There seems to be at least one child in each class who is seen as an outcast... someone different than the rest of the children due to skin color, religion, clothes, appearance, etc. 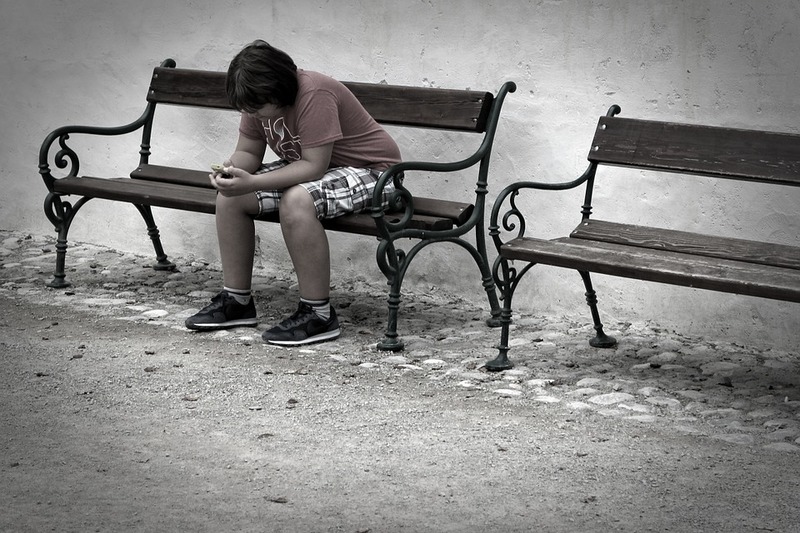 We can encourage our children to look for these fellow students who may play alone at recess, sit by themselves at lunch, or otherwise appear to have few friends. Encourage your child to look for these classmates and reach out to them. Have them invite them in to play, to eat, to interact. No one likes to be alone, and being included by peers can have a phenomenal and lifelong effect on these kiddos. You can find books on how to include others here. This takes the previous point one step further. If you've spoken with your child regarding current events and they are concerned or outraged, encourage them to write a letter to their state legislator, their governor, or Congress representative. 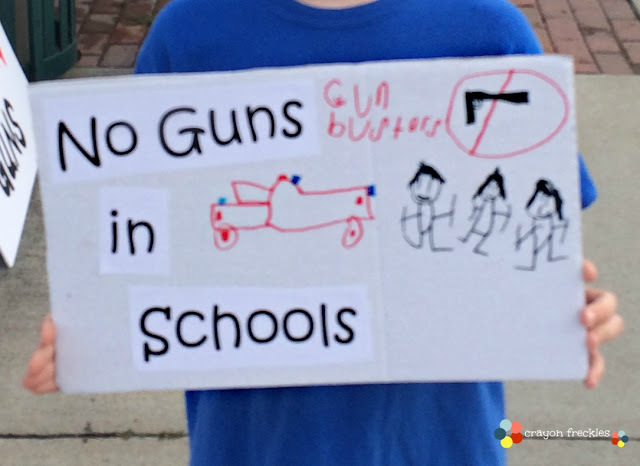 Not only does it teach children that they have a voice that deserves to be heard, it teaches our representatives that there is a younger generation with open eyes and ears. We all know that words can hurt. But there are some very specific words that kids should know they should never say. I don't know that you can come straight out and teach this one. Perhaps you wait until it's brought up by your child. Some of these words are, but are not limited to the likes of the "N-word", the "R-word, calling things "gay" or "Jewish". As for name-calling, children have to be taught that it just isn't okay. And when we witness these statements, it's important that our kiddos see us stand up for the abused. You may remember when we went through this with the "idiot" at the craft fair. Literature can open so many doors for children... especially if it's into topics they might never see first hand. Many of these topics are addressed in this list of 100 books about amazing and influential women. It's one thing for our children to hear us speak on issues that grieve us, but another thing for them to see us act on these perceived injustices. Like the old adage, "Actions speak louder than words." Let your children include their own letters/messages when you contact political figures. Be vocal about what you're doing and why. Let them see you taking action. Guide them to activities that are for the greater good. That's how we create little activists. Because I firmly believe that they are going to change the world.